Secrets lurk in a small New York town and betrayal is just around the corner. The morning after the worst blizzard of 1934, Detective Steven Blackwell takes on a highly charged murder case. The investigation starts badly: one clue, lots of lies and alibis. To make things worse, Steven is seeing visions of a woman in his house. One night, she speaks. Her name is Olivia Watson and she lives in 2014. She believes time has folded over in the house they share. As their relationship deepens, Steven’s investigation intensifies. Soon he can no longer trust anyone in his own time. Can Olivia help crack the case—and catch a killer? The past collides with the present in DOORWAY TO MURDER, an exciting new mystery by debut author Carol Pouliot. With its fresh premise covering two eras that crackle off the page, Carol Pouliot introduces compelling characters to lead her series forward. 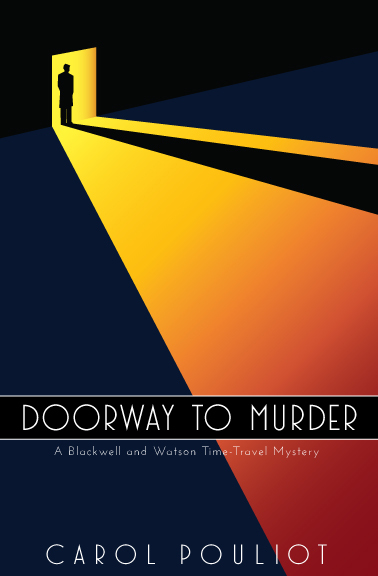 Add a sharply written mystery with clever plot twists, and you have all the elements that make DOORWAY TO MURDER an accomplished debut. Mystery. Romance. Time-travel adventure. DOORWAY TO MURDER is the total package. 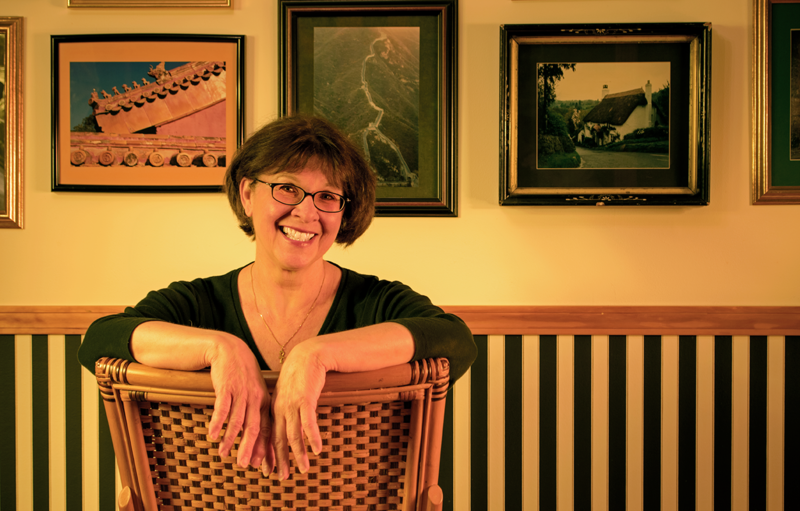 Carol Pouliot interweaves the past and present as easily as I turned the pages. I highly recommend this fun read. There's nothing I like more than a time-travel tale, but how much better to get a crisp, fair-play police procedural, too. The atmosphere grabbed me. The ending surprised me. I'm already looking forward to Steven and Olivia's next adventure. Steven and Olivia make a great couple of crime busters in this era-jumping romance and hard-boiled police procedural. Join them. You’ll be glad you did! I’ve always loved books and learning. I can still picture the library my family went to when I was little. I remember my excitement picking out books. Now, the bookshelves lining the walls of my house are stuffed to over-flowing − mysteries, political thrillers, time-travel, ancient Egypt, French literature, biographies of British kings and queens, and favorites from my childhood. I guess it was inevitable I’d want to write. I fell in love with France and all things French at age 11. Throughout high school, I dreamed of getting my passport, packing my suitcase, and going to Paris. I graduated from SUNY Oswego with a BA in French and Spanish and got my MA in French at Stony Brook University. Then, I headed to France for my first teaching job. After returning home to upstate New York, I taught French and Spanish for over 30 years. I also started my own business − an agency that provided translations in over 24 languages. I’ve always felt very much a part of the world and at home everywhere I’ve ever been − 5 continents so far. I did volunteer work for a couple of international organizations. I loved getting to know people from all over the world. A friend from Kenya taught me some Swahili; a woman from Japan showed me how to make her mother’s favorite chicken recipe; a friend from Panama taught me to salsa. All these wonderful experiences have enriched my life beyond measure. I currently live on several acres of woods in the lake-effect zone. This means I get about 10 feet of snow every year thanks to the strong winds off Lake Ontario. I enjoy seeing the deer, chipmunks, and foxes. I also love watching the birds at my kitchen-window feeders − over 25 different kinds at the latest count.